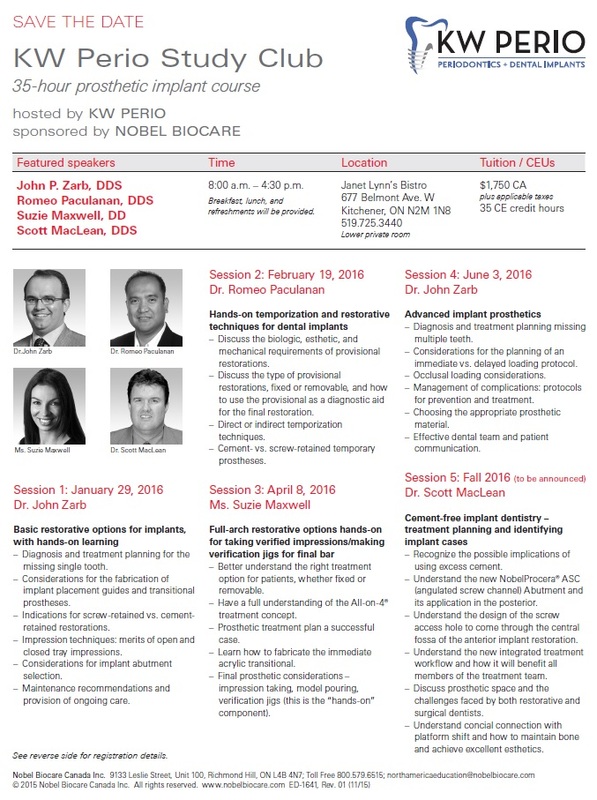 The KW Perio Study Club was founded in 2014 and presents many lectures throughout the year. Occassionaly we have multi-day courses that we list here. 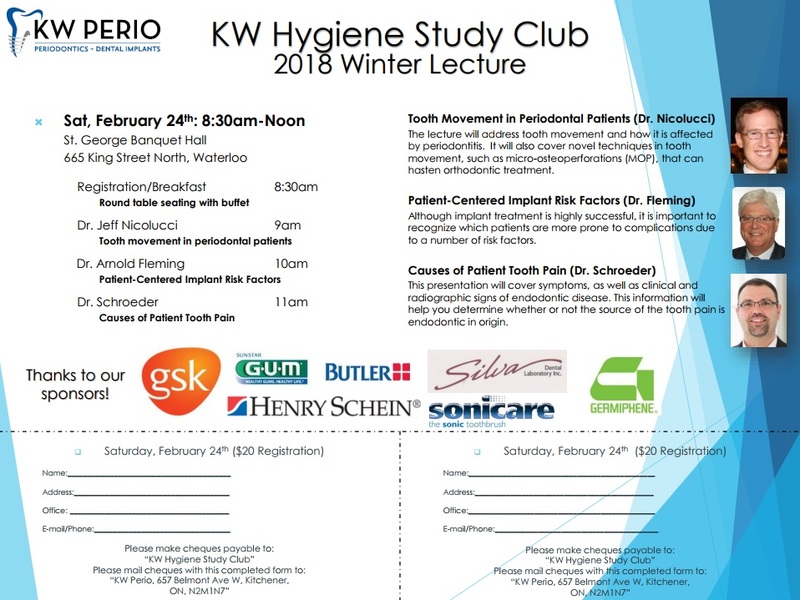 The KW Hygiene Study Club was founded in 2012 and presents biannually in the Spring and Fall. We usually have 2-3 lecturers which try to cover a few core topics and a few interesting topics. We send out flyers around a month before each lecture. Below find the most recent flyers. 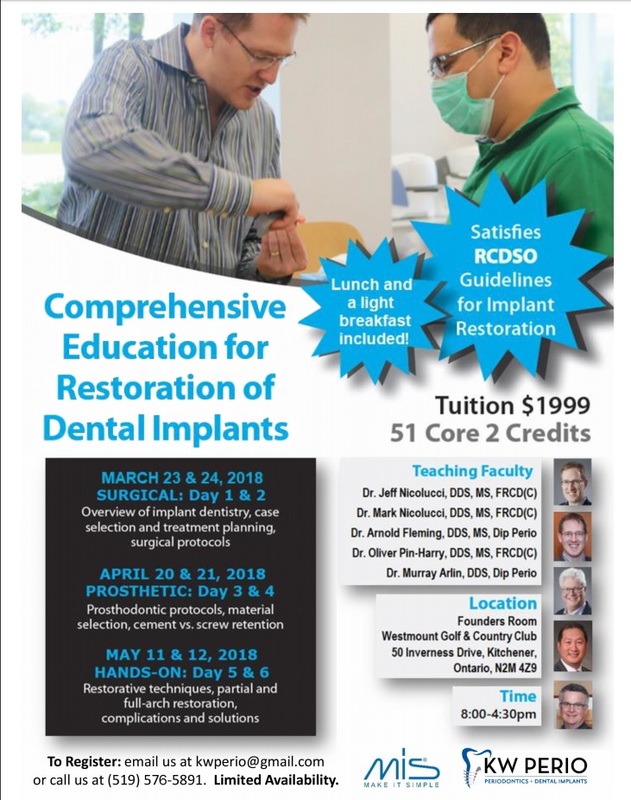 If you are interested in signing up for the next presentation please call our office.